Within a radius of a few hundred kilometres, there is a much greater variety of landscapes around Melbourne than around any other Australian city. Tours range from the mellow Yarra Valley, to the rugged High Country, to the majestic Grampians, to the penguin parade, the 12 Apostles and the beaches of the Great Ocean Road. Yarra Valley wineries produce some of the most popular Australian wines, just an hour out of Melbourne. 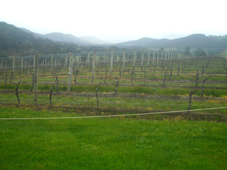 You can take one to the many Yarra Valley wine tours through this picturesque valley and to Healesville. There are many small and large wineries to call into, where you can taste pinot noir, chardonnay and sparkling. In the Yarra Valley you can also enjoy the thrills of an early morning balloon flight and the tranquillity of the Healesville Sanctuary. Another touring alternative is to bike Victoria and its country-side. Many old rail lines have been transformed into attractive easy to ride rail trails, on some of which you can take a hassle-free, organised bike tour. Just south of the Yarra Valley are the Dandenong Ranges, also only about 1 hour out of the city! Melbourne tours to the Dandenongs take you through narrow fern gullies, towering forests, and quaint little villages. Great places for picnics, art and craft shopping, or lunch at a delightful eatery! There are various Garden Festivals in spring. 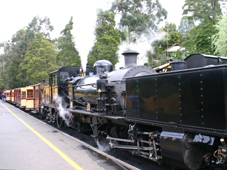 The most popular Dandenong attraction is the historic Puffing Billy Steam Train that takes you through the hilly forests from Belgrave to Gembrook. It is a great adventure and must-do activity for kids (of all ages). One of the most popular day trips from Melbourne is a visit to the Fairy Penguins at Phillip Island, about 1.5 hours southeast. The Penguin parade is the daily ritual of hundreds to thousands of Little Penguins returning to their nests behind the dunes, waddling past the visitors. 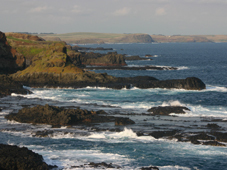 On Phillip Island there is also an attractive homestead and Koala park. About 3 hours southeast of Melbourne, is the Wilsons Promontory National Park, a magnificent stretch of coastline with many excellent walks with mountainous forests, fern gullies, salt marshes, grey granite ranges and wild life. It is the most southerly point of the Australian mainland, a great place to camp, to go diving or snorkelling, or to enjoy the tidal river and beaches. Another wine growing region is in the Mornington Peninsula, on the east side of Port Phillip Bay. This is a region with gardens, food and wine, galleries, mazes and golf, as well as beach and water activities. You can go on a Strawberry farm tour or a Mornington winery tour to find the great spots of this region. There is also the Mornington Peninsula Regional Gallery with every changing exhibitions of the best Australian artists. 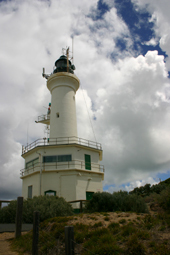 There is the early settlement town of Sorrento, the Cape Schanck Basalt Cliffs and the Mornington Peninsula National Park, great places for bushwalking, swimming and surfing. Taking one of Melbourne tours along the most scenic of all roads, the Great Ocean Road on the southwest coast, is a traveller favourite. 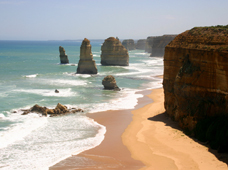 This is where you can see the natural wonder of the colossal 12 Apostles and Great Ocean Road. The Twelve Apostles are part of the historic Ship Wreck coast of Victoria, on the second leg of any 12 Apostles and Great Ocean Road, eroding limestone stacks, formed millions years ago and gradually falling into the sea. There are in fact only eight left. Great Ocean Road Tour. The first part takes you along the Surf Cost and rainforest of the Otways, great places to see wild life, or go swimming, snorkelling or surfing. For a more serious getaway of a few days or more, camping out or staying in one of the cabins in the Grampians National Park is a special treat, about 3 hours west from Melbourne. This is a fantastic place with breathtaking rocky views, Aboriginal art sites and wild life. Great for bushwalking, cycling, picnicking, or engage in adventure activities such as rock-climbing, or kayaking! There is a tour to the Grampians where you also get to see a lot of Australian wild life. However, if you really want to see Australian Animals, there is an amazing and very popular Savannah Walkabout Australian Animals Eco Tour that never fails to gets rave reviews for the animal encounters you get to experience. Only just over 150 years ago, Melbourne boomed in the gold rush. A lot of the gold was found near the historic gold mining town of Ballarat. Grand Victorian and Edwardian Heritage buildings and tree-lined avenues still speak of its 19th century glory days. Take one of Melbourne tours to the major attraction in Ballarat, Sovereign Hill, a 35-acre open-air museum recreating the gold mining heydays, including old buildings, actors in authentic costumes engaged in 1850s activities. It is well worth a visit and great for kids. There are smaller wine growing regions in Sunbury, not far from Tullamarine, and further north, the Macedon Ranges, an area with smaller and boutique wineries. There is also the famous Hanging Rock, a rocky mountain top where the legendary disappearance of several college students and their teacher occurred in 1900, where you can go for nice bushwalks, as well as the Mount Macedon scenic outlooks. The nearby town of Woodend is a great place for lunch with country-feel. And to the west are the renowned Hepburn Springs and Daylesford, great places for a health spa or massage, and great food. Finding out about the Victorian past is an adventure in itself. There are other places that still show the traces of the gold rush boom that happened over 150 years ago. Take one of the Melbourne tours to Beechworth, the most perfectly preserved historic Victorian gold mining town. It has maintained its original streetscape and original graceful and dignified character. The most notorious Australian bushranger, Ned Kelly was imprisoned here in a small dark cell for 6 month. 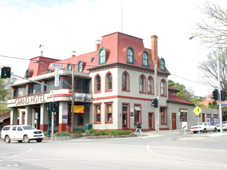 Beechworth is located 271 km north-east of Melbourne via the Hume Freeway. Bendigo is another historic city made rich by gold. Worth visiting is also the nearby Maldon with its well-preserved historic streetscape. Then there is Echuca, an historic Victorian inland river port with original Paddle steamers. Melbourne tours that do not require too much driving are to the interesting historical attractions of Geelong and Queenscliff. The Alpine National Park is massive and stretches from Mount Baw Baw, just 2 hours east of Melbourne, right through to Canberra. In summer there are fantastic opportunities for rock climbing and abseiling, bushwalking, mountain biking, kayaking & canoeing, horse riding and 4Wheel driving, and plenty opportunities for bush camping. There is still real wilderness in many places such as the rugged plateau of Mount Buffalo with its massive granite tors (a high rock or pile of rocks on the top of a hill), plunging waterfalls and cliff-top views. In winter, the Victorian Alps offer plenty of opportunity to get out your skis, snowboards and toboggans. There is downhill skiing Australia as well as snowboarding and cross country trails. Along the Alpine Road, about 4-5 hours from Melbourne, there is Mount Hotham and Falls Creek, and then there is Mount Buller only three hours from Melbourne. For children and beginners, Melbourne tours to Mount Baw Baw are just fine with a perfect mixture of beginner and intermediate downhill runs and tobogganing. For cross country skiers there is Mount Stirling and Lake Mountain. Check the snow report as Australian Snow can be a bit unpredictable, but nevertheless great fun. Of course there is more to do in the world than just shorter Victoria and Melbourne tours. Nevertheless, it is always a wonderful place to return to after a long trip. Melbourne is a great starting point to explore the rest of Australia. 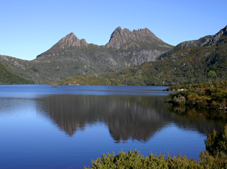 Tasmania travel is popular from Melbourne. Tasmania is close to Victoria and very different, with amazing natural beauty and wildlife, and a slower pace where you automatically have to relax. If you want to venture further and want some help in deciding what little corner of the world to concentrate on, MouseTours Travels is a great resource with helpful tips of where to go, how to choose, what to pack, foreign money.